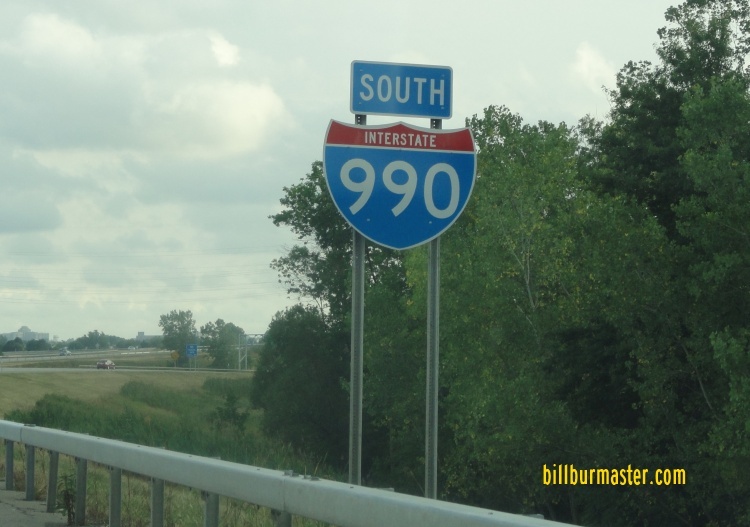 Interstate 990 is a short north-south highway north of the Buffalo Metro Area. It runs soley in the City of Amherst. 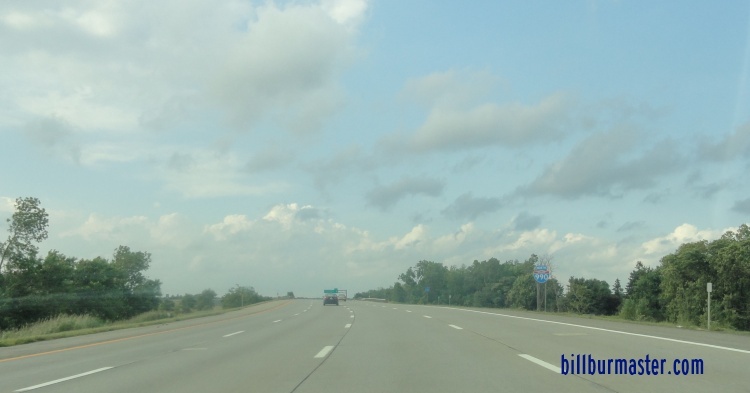 This highway goes from Interstate 290 to New York State Route 263. 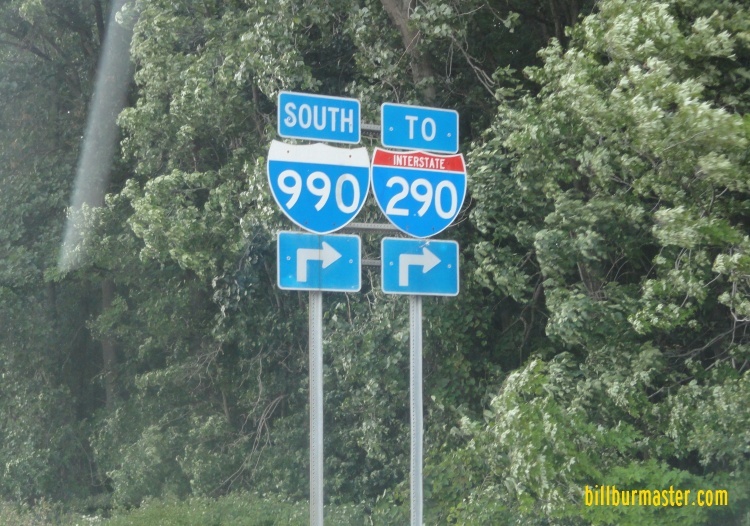 I-990 along with I-590 do not connect directly to their parent highway, I-90. 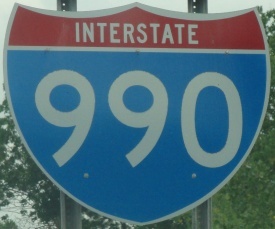 While in New York, I-990 is not multi-plexed. 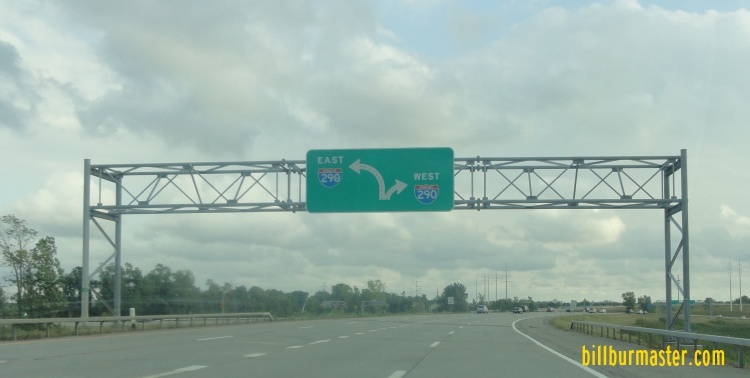 In New York, Interstate 990 crosses the following interstates. 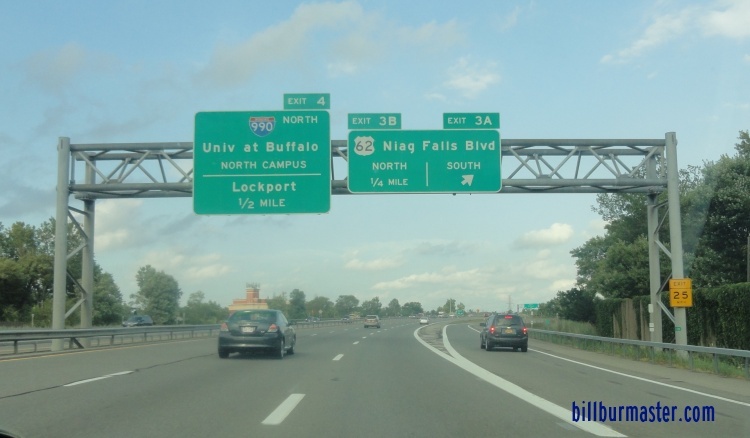 Info on the parent highway of I-990 in New York. 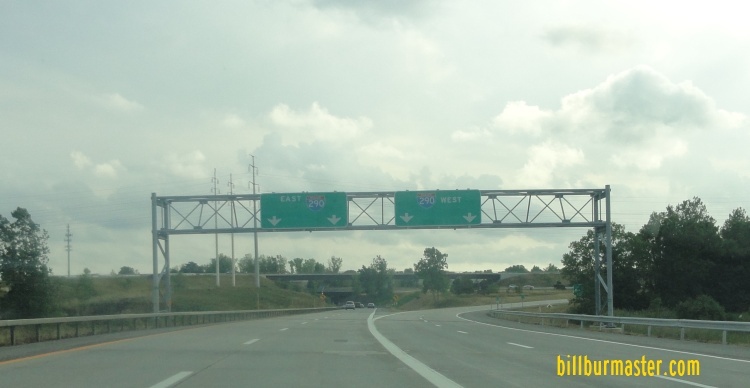 A BGS on EB I-290. NB I-990 north of I-290. A set of guide markers near the University of Buffalo. 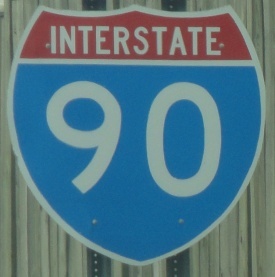 A guide marker on SB I-990.